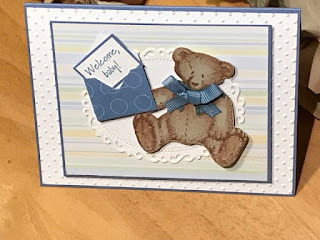 Hello fellow stampers and card markers! I hope everyone is having a great day. Personalized gifts are always special - to give and to get. Everyone likes to have things with their names, initials or images that express their personality. Well cards can be personalized too. I have a few examples of how to add that extra personal touch. 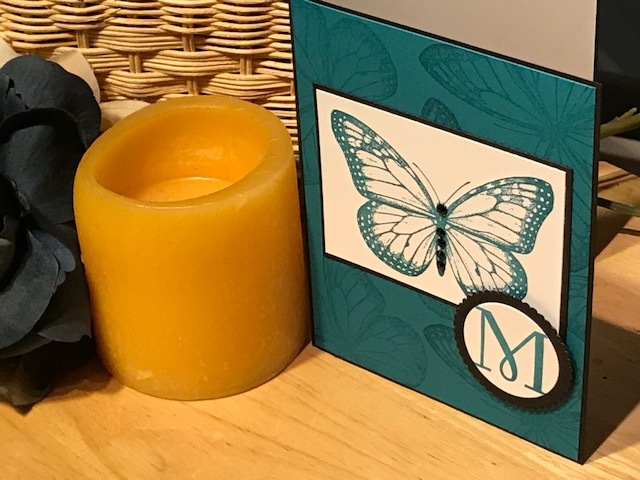 You can personalize individual cards or make personalized gifts. 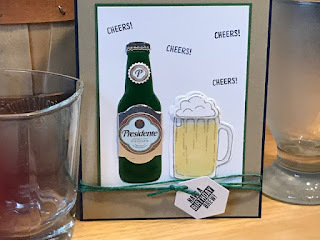 This first example is a card set I made for a gift. My friend Molly loves butterflies so this motif was perfect for her. And the card was super simple to make and she loved the set. 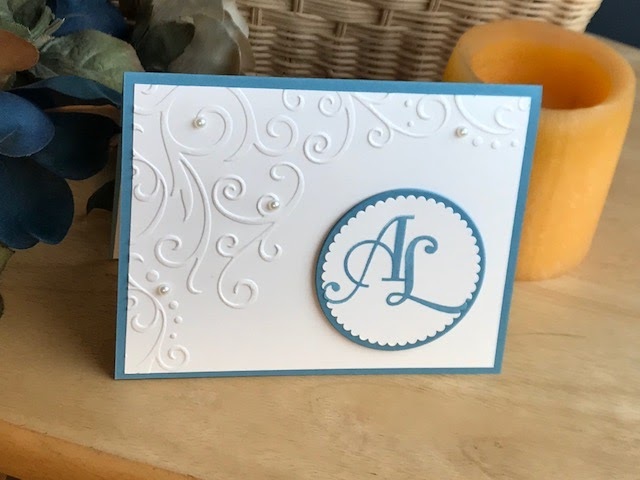 The next example I have was made for my aunt who loves send to cards. I made her a set of cards in her favorite color and included both her initials. The dry embossing and pearl embellishments added a nice feminine touch. And she loved them! My last example does not include initials but something they love. 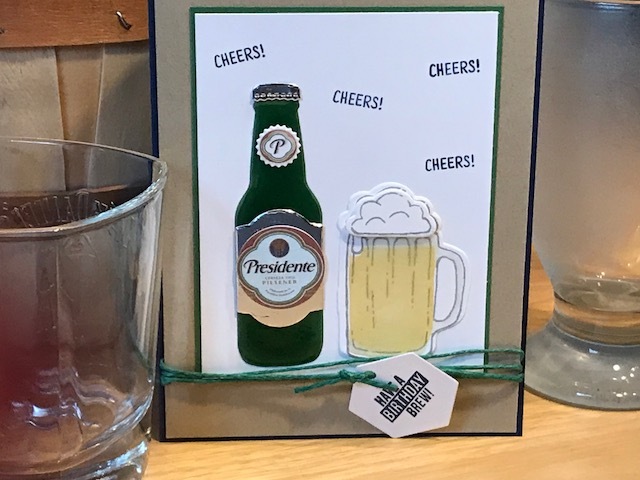 This birthday card was made for a customer that wanted to include her son's favorite beer. I think this card is awesome - I love the look. I found the label and logo online and used a circle die to cut both. The small logo is adhered directly to the crystal glazed bottle. The label is adhered to a larger label made from silver mirror paper. I hope you give personalizing a try. Let us know how your friends and family like it.